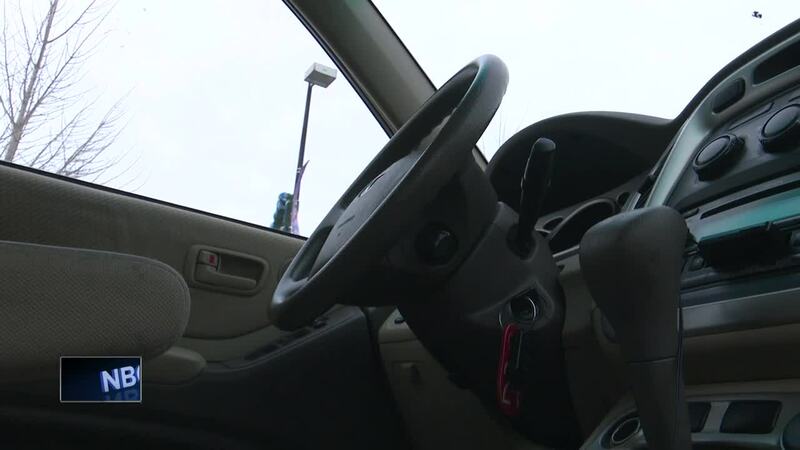 Green Bay's Protection and Policy Committee revisited an ordinance Monday night, proposed by police to fine people who let their car idle unattended. The goal is to help lower auto theft. Police Chief Andrew Smith says he wants to use this as a learning tool to get people to stop leaving their keys in their car. So far this year, Chief Smith says ten cars have been stolen in Green Bay. Of those ten, six had keys in the car when they were stolen. Chief Smith says the threat of a fine for leaving a car idling in public may reduce car theft. He says it's simple: Just don't leave your keys in the car. "I want to use this as a tool to educate people that this is a bad idea,” the chief tells nbc26. “This is why we have so many cars stolen in Green Bay and the problem is our car theft is getting worse. It's not getting better." On Monday night, the committee discussed some revisions to the ordinance and reduced the proposed fine from $500 dollars to $50 dollars. They also added a 2-year sunset clause. The committee is working with the police dept. On the proposal and will meet again on Monday night to discuss it further. Then they will decide whether to amend it or send it to the council as is. GREEN BAY, Wis. — Green Bay's Protection and Policy Committee revisited an ordinance Monday night that was proposed by police to fine people who let their car idle unattended. The goal is to help lower auto theft. Police Chief Andrew Smith says he wants to use this as a learning tool to get people to stop leaving their keys in their car. So far this year, Chief Smith says ten cars have been stolen in Green Bay. Of those ten, six had keys in the car when they were stolen. Chief Smith says the threat of a fine for leaving a car idling in public may reduce car theft. He says it's simple: don't leave your keys in the car. "I want to use this as a tool to educate people that this is a bad idea,” the Chief tells NBC26. “This is why we have so many cars stolen in Green Bay and the problem is our car theft is getting worse. It's not getting better." On Monday night, the committee discussed some revisions to the ordinance and reduced the proposed fine from $500 dollars to $50 dollars. They also added a 2-year sunset clause. The committee is working with the police department on the proposal and will meet again on Monday night to discuss it further. Then they will decide whether to amend it or send it to the council as is.